Knowing the value of a particular item is more important than knowing about the price you bought it at. The value plays a vital role in determining how much the depreciation or appreciation will be in the final price. This is why being aware of the value of a big investment, particularly your car, is essential. It will come in handy when you sell or trade it for a new vehicle if you want to get a good price. With a professional car valuation, you will learn the value of your vehicle and the price you can charge for it. So, without further ado, let’s look at the benefits of considering a professional car valuation. When you plan to sell your vehicle, it is important you prepare correctly in order to get the best deal. During the preparation phase, you should learn the exact market value of your vehicle to sell at a good price. This can often prove difficult, especially if you don’t have enough knowledge about the marketplace. This is where Professional Car Valuation comes in, guaranteeing you get an accurate value for your car. 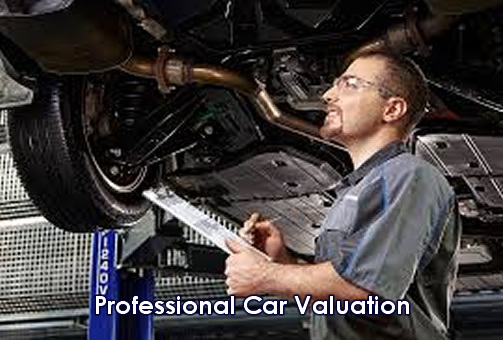 Since professionals, who have been valuating cars for years, perform the task, you can rely on the value they calculate. When you opt for Professional Car Valuation, you outsource the responsibility to an experienced professional. These experts have the sufficient knowledge and have specialist tools to value your car quickly. Based on a number of factors, such as mileage and resale value, you get an accurate valuation of your car. You can also use the info these professionals provide to make the selling process easier. When it comes to selling your car, it is important you provide buyers with proper b. This will include the repair history of your car as well as how frequently you had it serviced. This info can be difficult to obtain without the help of a professional. Since you outsource the task to a Professional Car Valuation agency, they do the research for you. You can avoid the hassle involved in the process and save time and effort. Therefore, if you want to receive the aforementioned benefits, it’s time you considered getting a Professional Car Valuation.